I've yet to meet a person who doesn't like the classic board game, Risk. Sure, it can be a bit long-winded, and it's certainly no fun when you're totally outnumbered. However, in those glorious moments when you grip the dice in your sweaty palm, safe in the knowledge that you are the dominant force and the whole world's fate rests in your hands, the game produces a feeling that no video game has ever been able to replicate. That is, until now. 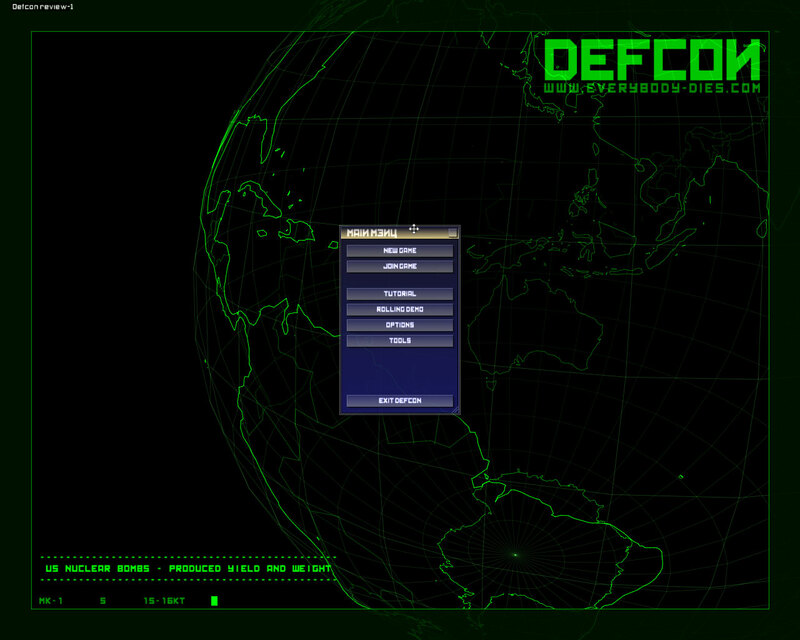 Allow me to introduce Introversion Sofware's Defcon. Replace Risk's soldiers with aeroplanes, the cavalry with submarines and the artillery with thermo-nuclear weapons and suddenly the game feels like it has swallowed an entire handful of ecstasy pills and, quite frankly, gone berserk. Out go the board and dice and in comes one of the most unique, slick and stylish 2D interfaces you have ever seen. It's Tron meets George W. Bush, and the result is all-out global destruction in the most stylish 1980's manner possible. The basic premise of Defcon is as uncomplicated as can be. 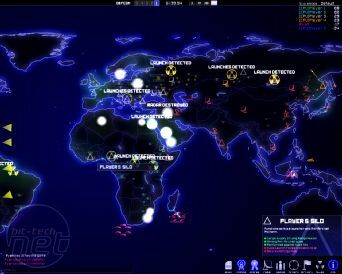 You win the game by sheer bodycount: nuke the hapless millions inhabiting the world's major cities and annihilate entire continents. If Jack Thompson et al got upset about a few in-game drive-by shootings in GTA, one can only imagine his contempt for this level of genocide. Luckily, due to the dehumanised nature of the interface you don't really feel like you're actually killing people, so here's hoping Lawsuit Larry will leave this one alone. 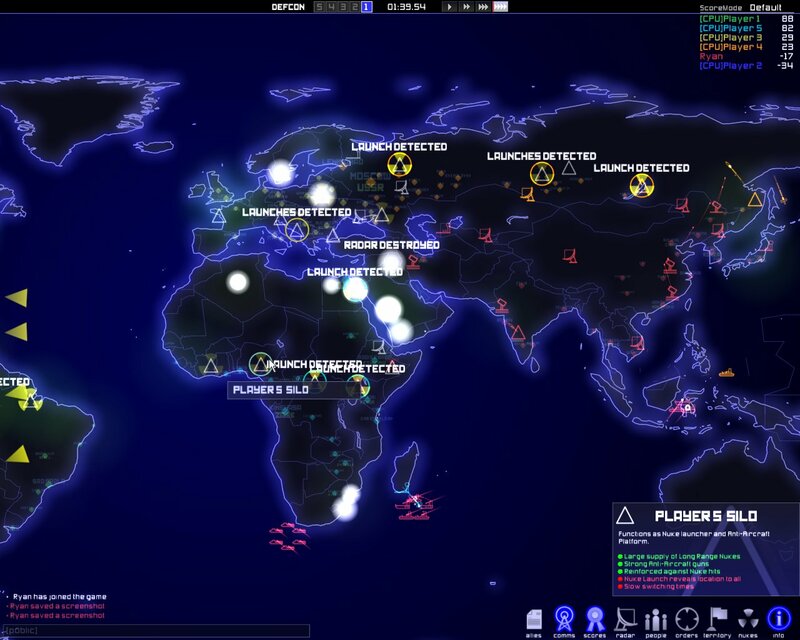 We doubt this game will encourage a new generation of Cold War zealots eager to drop The Bomb. 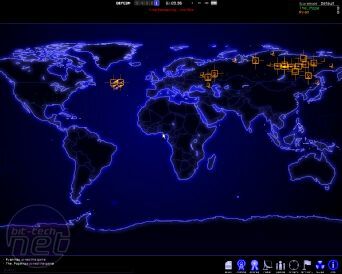 If these themes sound familiar, it is because Defcon is unashamedly inspired by the 1983 cult classic film, Wargames. Starring Matthew Broderick as a baby-faced computer geek, the film centres around an advanced war simulation computer named Joshua. Broderick stumbles across the system via modem (oh how far we have come!) 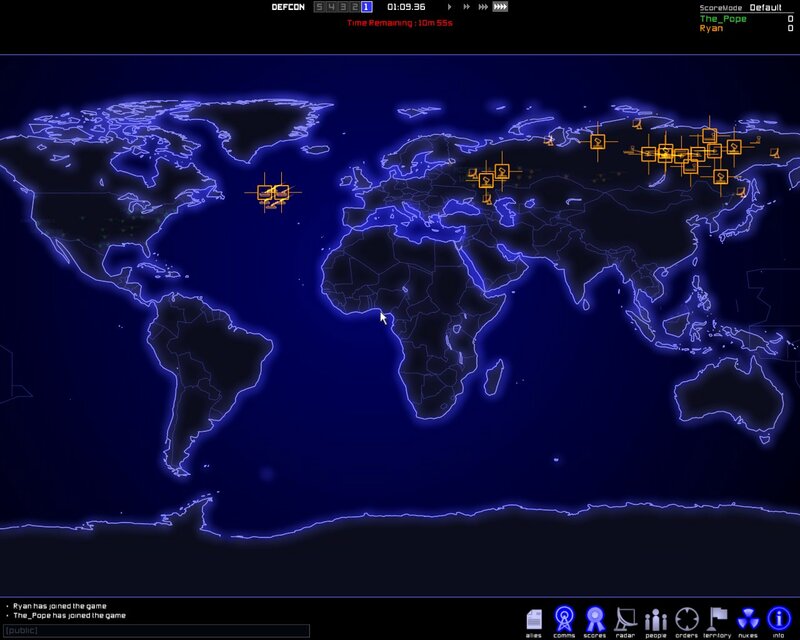 and thinking it is a software company's latest game, he chooses to play Global Thermonuclear War. Still believing he is playing a video game, Broderick merrily launches nukes at the Russians (who else? ), oblivous to the real-world crisis he has just triggered as US Army Generals choke on their cigars at the news of the Russian retaliation. WarGames is a great film and I would recommend you rent a copy if you haven't seen it. 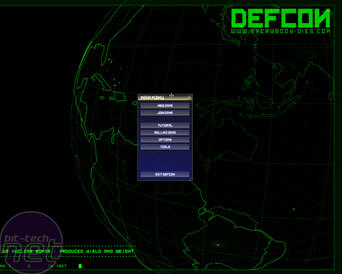 Of course, for fans of the film, it is now possible to experience it for yourself by playing Defcon. Defcon is far more simplistic than most RTS offerings, with the ability to utilise only three different types of buildings, three different types of ships and two different types of aircraft. How this all works is probably best explained if I describe a typical game. To begin with, you select an area of the world - you have the choice of North America, South America, Russia, South Asia, Africa or Europe. Each area contains a host of cities and each city contains a population. The big ones like London contain 30 million people, whilst small ones like Prague contain just a few million. 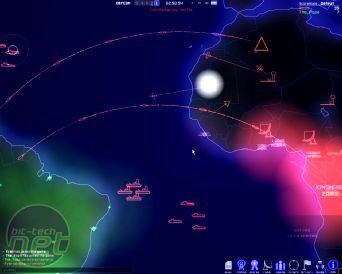 The game is split up into different 'Defcon' phases, mirroring the real-life scale of armed force readiness, which works from DEFCON 5 representing "peacetime" and DEFCON 1 signaling "maximum force readiness" (ie brown stuff hitting the fan). 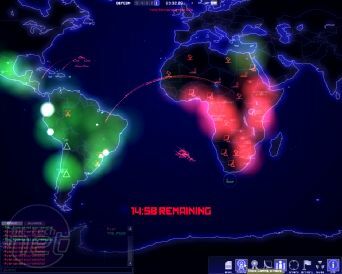 In the game, during the DEFCON 5 and 4 periods everything remains fairly calm - the perfect time to set up your forces, plan a strategy and work out how best to bring about global destruction. 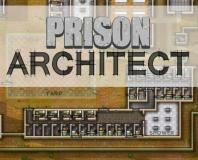 The first thing you must do is build some useful buildings. There is no particular order to this, so I usually begin with radar towers. 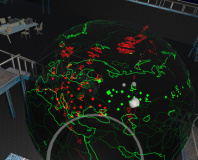 Just like one would expect, radar helps give you a larger view of the world - handy to spot incoming enemy attacks and the like. 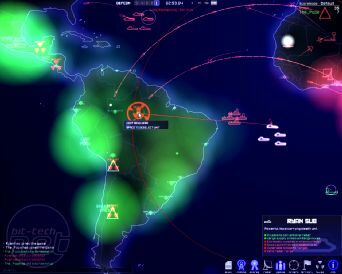 In this game, I've taken on the role of Europe and I stick my six radars around the edge of the continent. This lets me keep my eyes on the Americans who might try and cross the Atlantic, the Russians who might try and sneak in from the east, and of course the Africans who would love to bomb my cities from the south. The paranoia has already set in... 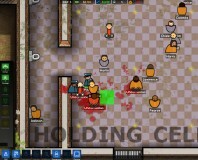 I'll kill them all!